Next stop… New app! Download it for free on your smartphone and tablet! Missing home? Fancy a weekend getaway? Planning the summer holidays? Download the ALSA app NOW. Enjoy the best rates! Buying your bus tickets has never been this quick and easy. The ALSA app also offers exclusive rates and discounts. Check out the times and routes that best fit your needs. The hard part is choosing where to go! See for yourself how travelling with ALSA is the smartest way of getting to hundreds of destinations, and not just because of the great rates! 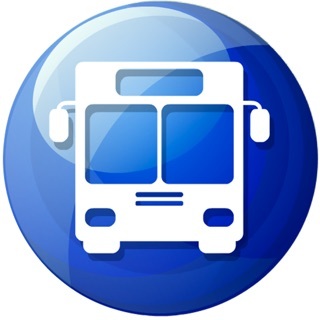 Track your bus in real time to follow its progress on the map. Perfect for keeping the person picking you up at your destination informed. •	ALSA accompanies you on your journeys and international trips from any point in Spain. Travel to Lisbon, Paris, Geneva, and lots more destinations! •	Become an ALSAPLUS+ member! There are no booking fees after your second purchase and you can get 4% back on purchases in the form of points to put towards your next trip whenever you want. •	Choose how you want to pay: Card, PayPal, add the payment to your phone bill, use your ALSAPLUS+ points. Fast, easy, and secure payment! Did you know? You can now buy your tickets hassle-free on your iPhone X because the new app is fully adapted! Fun and safe journeys. Where do you want to go? We’ll take you there! We continue improving the ALSA App, having corrected some errors and improved optimisation. People do lots of different things to revamp their look, some lose weight, others take up a sport, some get a nose job... We decided to create a new app with a brand new design! Our new look comes with a more user-friendly design with improved back-end performance. Our developers have been coding for a long time. Like, a really long time! All to make it much easier and faster for you to buy your tickets. The app is also fully optimized for those lucky enough to have an iPhone X. Works very well and even better as we use BUSPLUS. I'm from the U.S. So I hesitated to download this app because the reviews made me think I wouldn't be able to buy tickets without a Spanish ID #. Well they fixed this version- I was able to use my passport # to buy tix with PayPal. I still don't think US credit cards work, but then they don't work on the full website anyway. Baby steps I suppose. Good way to check schedules, but doesn't let foreigners but tickets. Tried both methods -- credit card and Paypal. The PayPal interface demanded a Spanish DNI number (national identification number). They should explain this limitation in the app. Bueno para conocer horarios pero no permite que extranjeros compran billetes. Rechazó tarjetas de crédito de EEUU y Perú. También rechazo me cuenta de Paypal por falta del nro. de DNI Español. He comprado cosas en todo el mudo con Paypal. Nunca me pidieron eso. Se debe explicar esta limitación en la App.